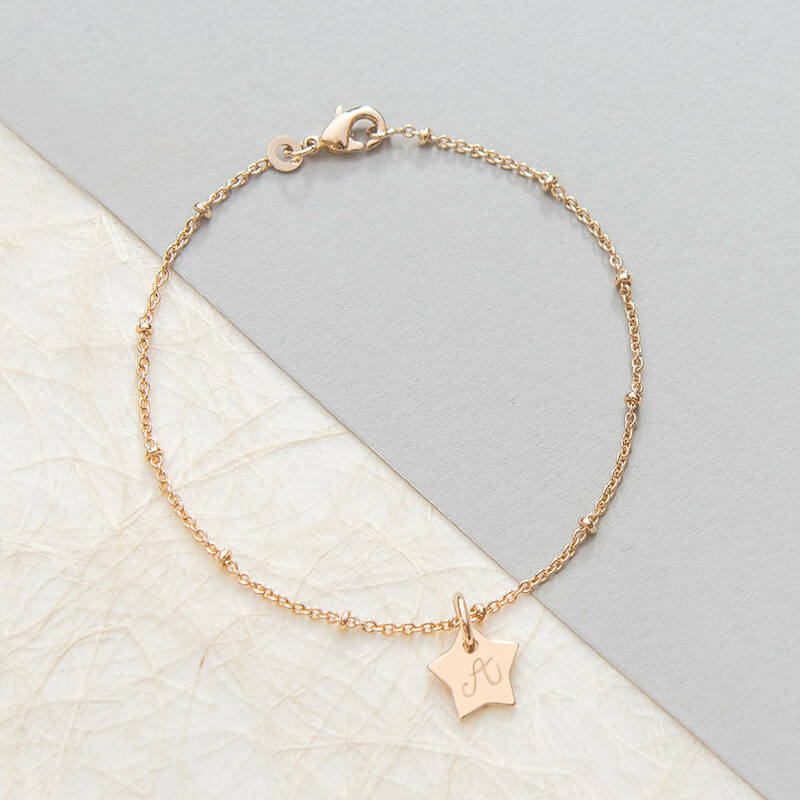 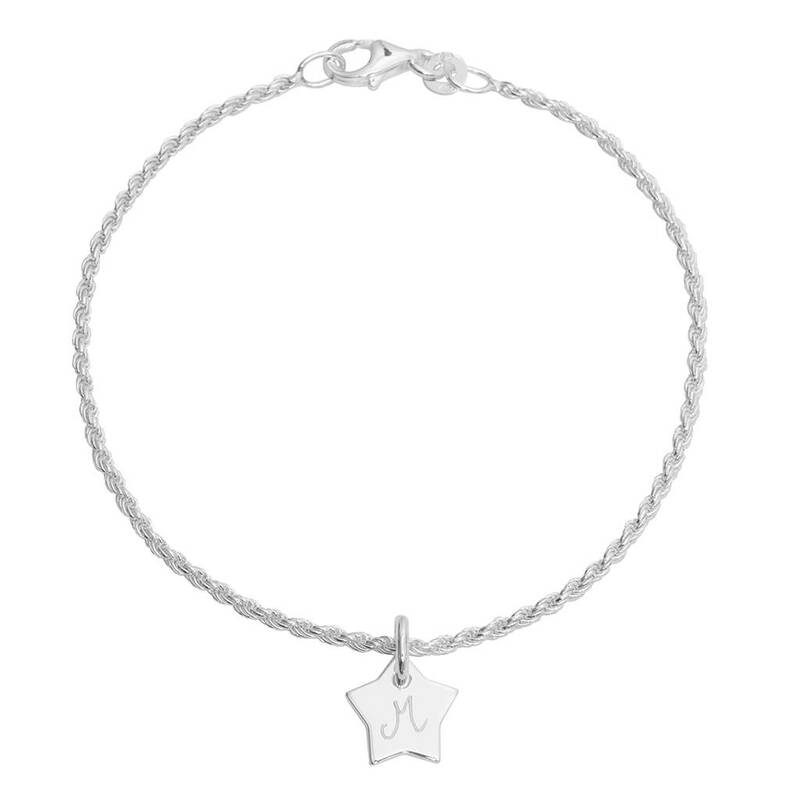 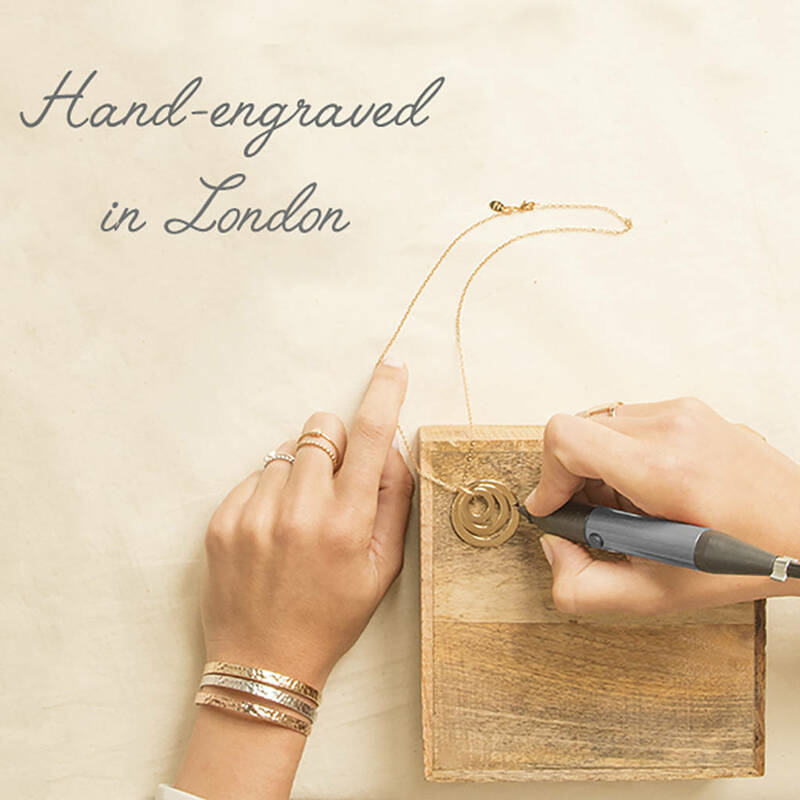 Fun and feminine, our Personalised Initial Beaded Chain Bracelet is the perfect engraved accessory. 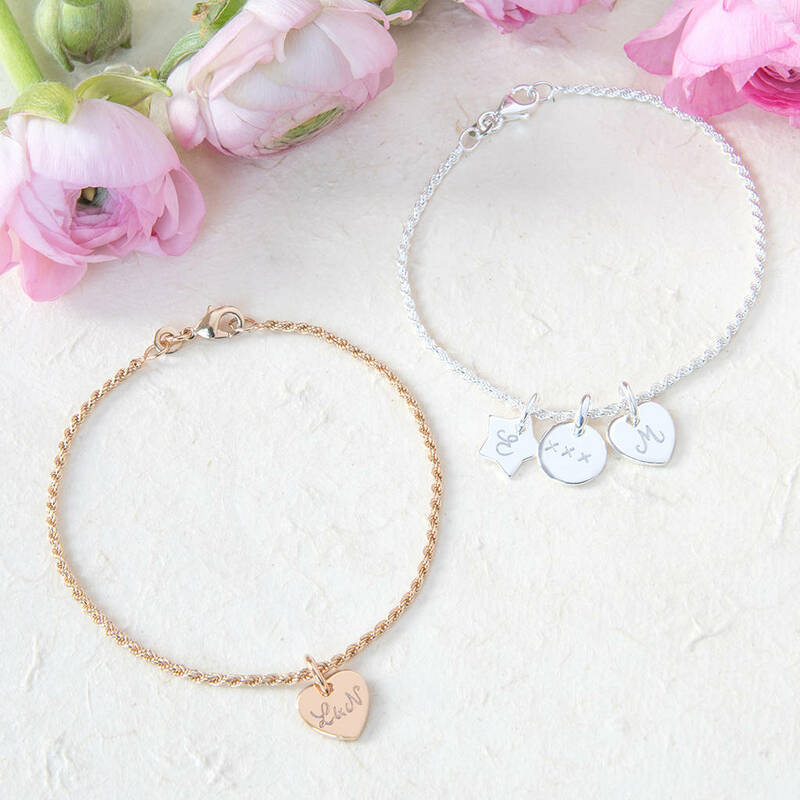 Choose between our stylish rope and beaded chains and customise your bracelet with up to 3 cute mini charms of your choice. 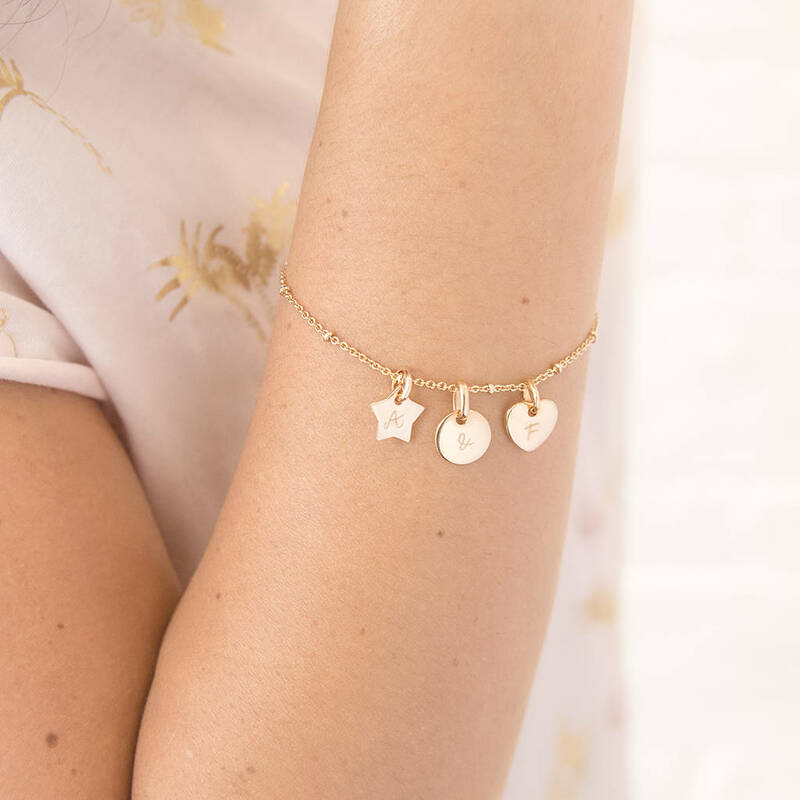 Each mini disc, star or heart can be engraved with initials to represent your nearest and dearest. 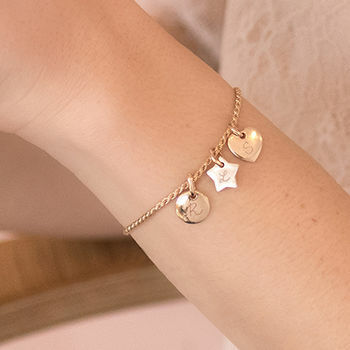 Mix and match your charms or keep it minimal – the choice is yours!